This contrast between high and low pressure is broadly similar to the atmospheric circulation pattern that set up in 2007. 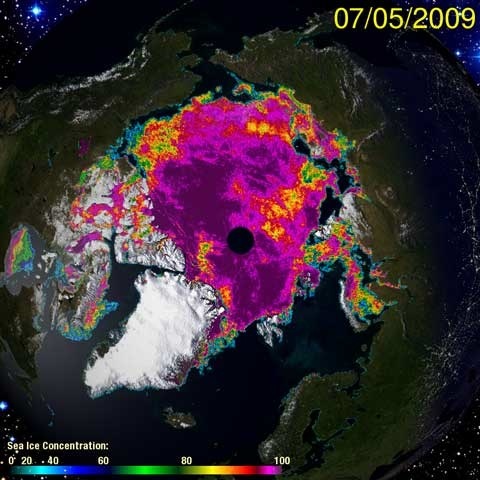 In 2007, that pattern contributed to a significantly accelerated decline in ice extent during July, and a record minimum low in September. Will the same acceleration in ice melt occur this year? If so, a new record low minimum extent becomes more likely. So far, an acceleration has not been observed. Bad Behavior has blocked 3198 access attempts in the last 7 days.